Glamglow introduces the most scientifically advanced clearing treatment to help fight common skin concerns such as acne and blemishes, pores and oiliness. Supermud clearing treatment works on various skin imperfection giving clearer, smoother and poreless skin instantly.New Glam to Go Treatments are travel-friendly and perfect for your Glow on the Go.Designed for both men & women. - After just 1 day of use: 94% felt their skin looked renewed; 91% saw an improvement in skin clarity; 94% felt it gently cleared their skin. - On day 7 after using it 3x in a week: 98% felt their skin looked renewed; 97% saw an improvement in skin clarity; 97% felt it gently cleared their skin. Explore the entire range of Masks & Peels available on Nykaa. 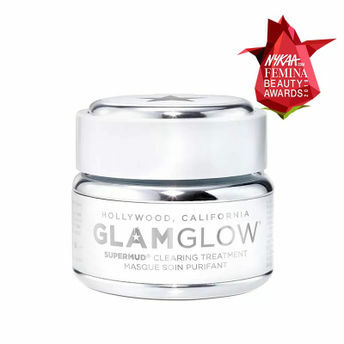 Shop more Glamglow products here.You can browse through the complete world of Glamglow Masks & Peels .Alternatively, you can also find many more products from the Glamglow Supermud Clearing Treatment range.